Yellow Corner Flag with White Pole. Rebranded Drinks Cooler & Bottles. Install via the Pes 2018 download folder. 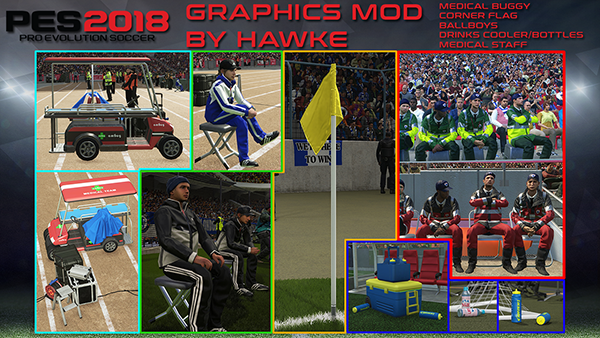 Download Graphics Mod. This is a mod for Pro Evolution Soccer 2018 video game.